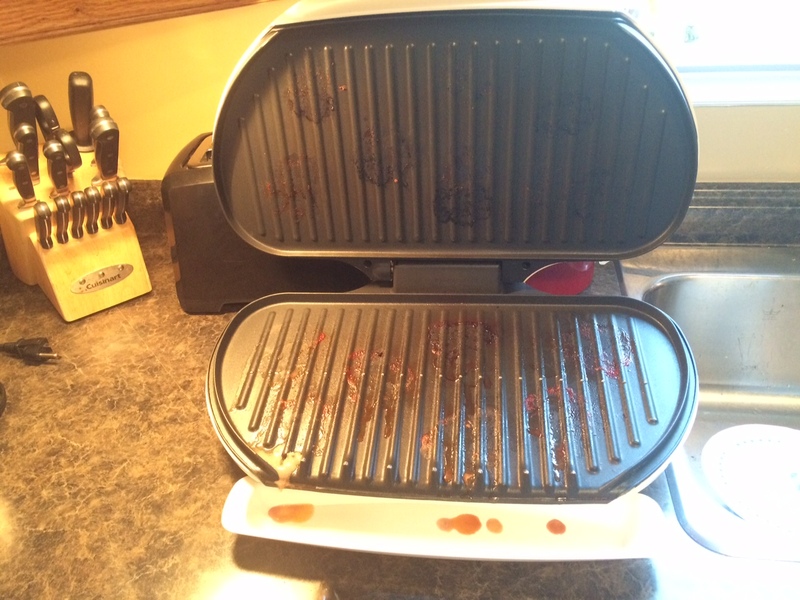 Harsh chemicals and rough sponges can damage the coating on Panini makers and smaller indoor grills. Here’s how to do it au naturel quickly and easily. 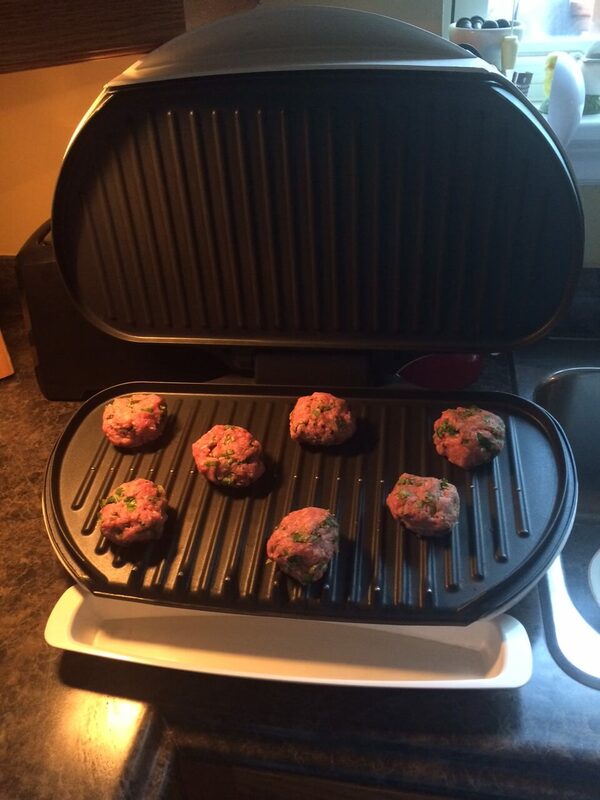 When you’re done cooking, turn the grill off and unplug it. 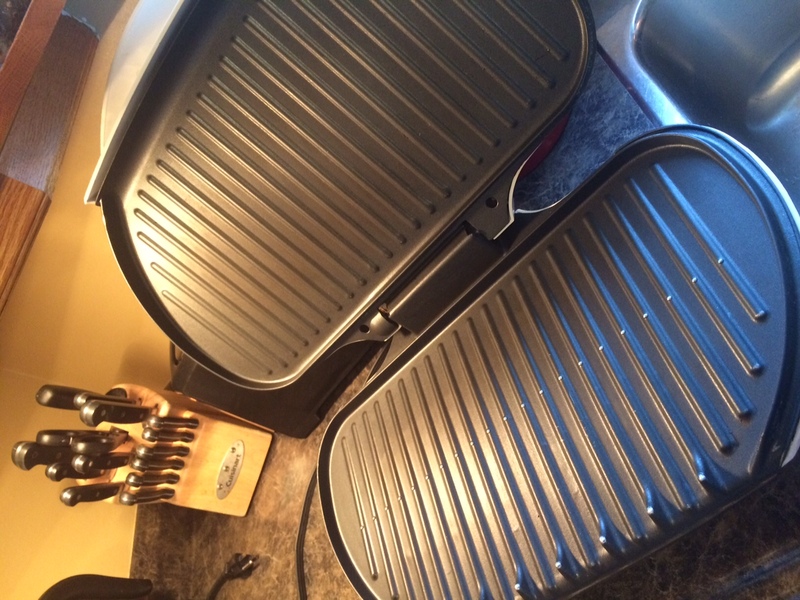 Let the grill cool down a bit (but not entirely) before proceeding. 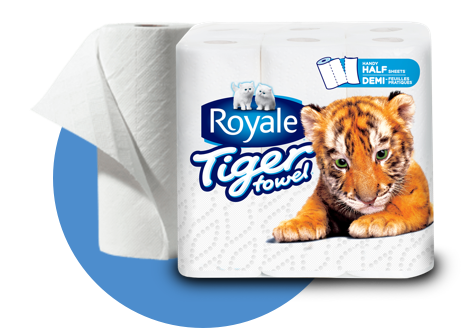 Take 2 Full Sheets of Tiger Towel® paper towel and fold them in half (so they are layered). Wet them, ring them out, and unfold them so they are flat again. 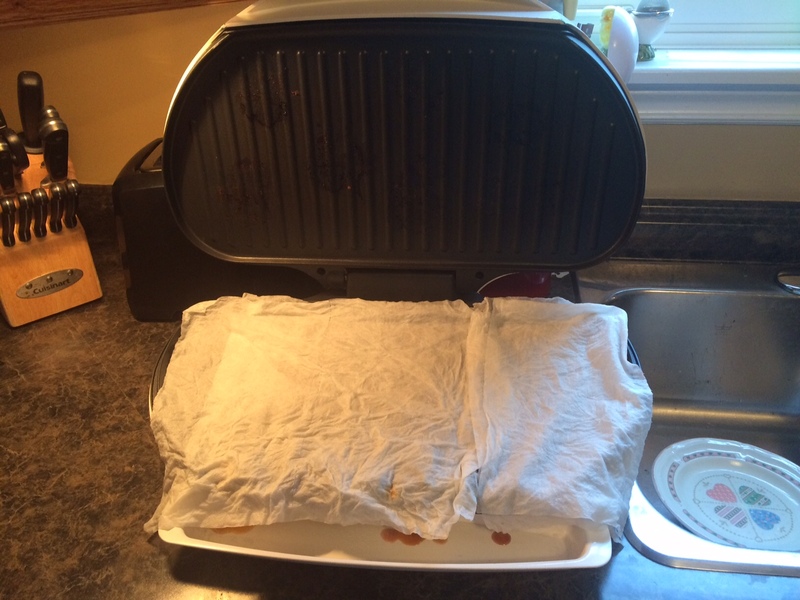 Place them on the bottom grill, covering the entire cooking surface (it’s ok if the paper towel drapes over the edges). Close the lid and let things sit for several minutes. 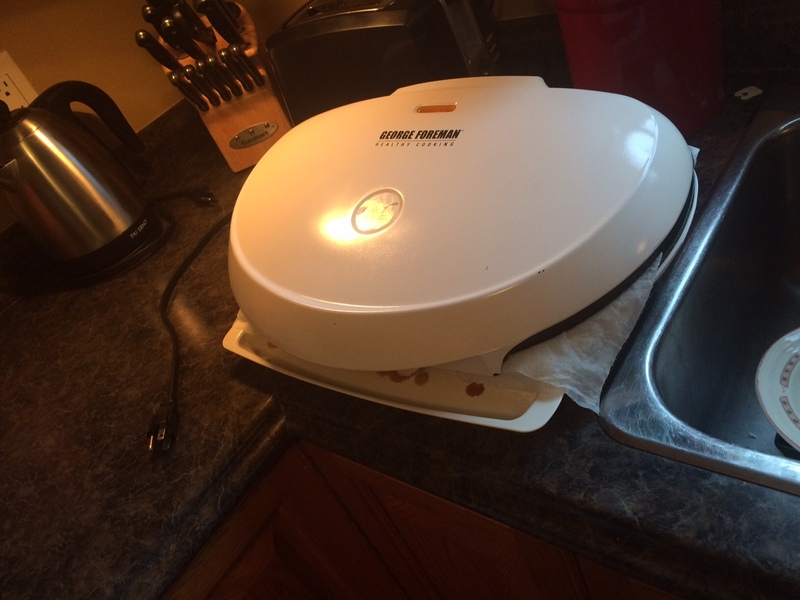 The lingering heat will work with the damp Tiger Towel® to steam clean the grill. 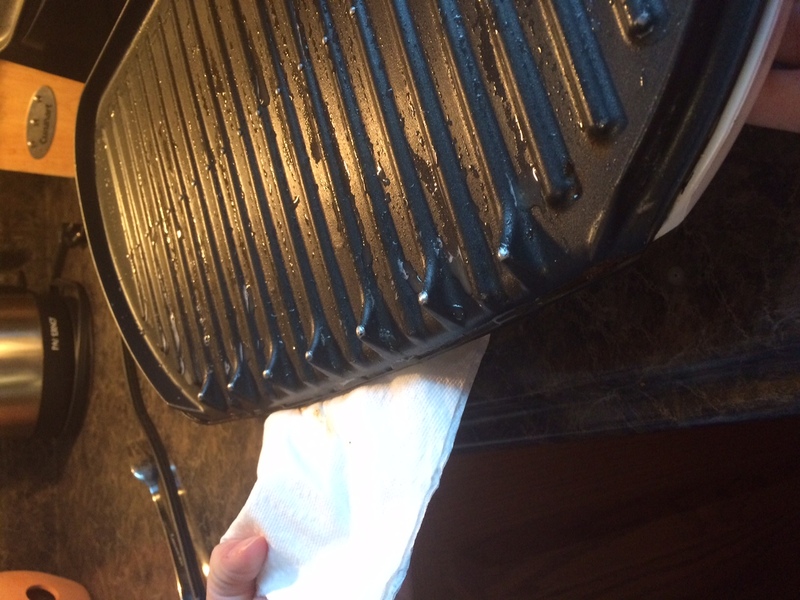 Lift the lid, press down on the Tiger Towel® and pull it towards the edge of the grill to get rid of the mess. 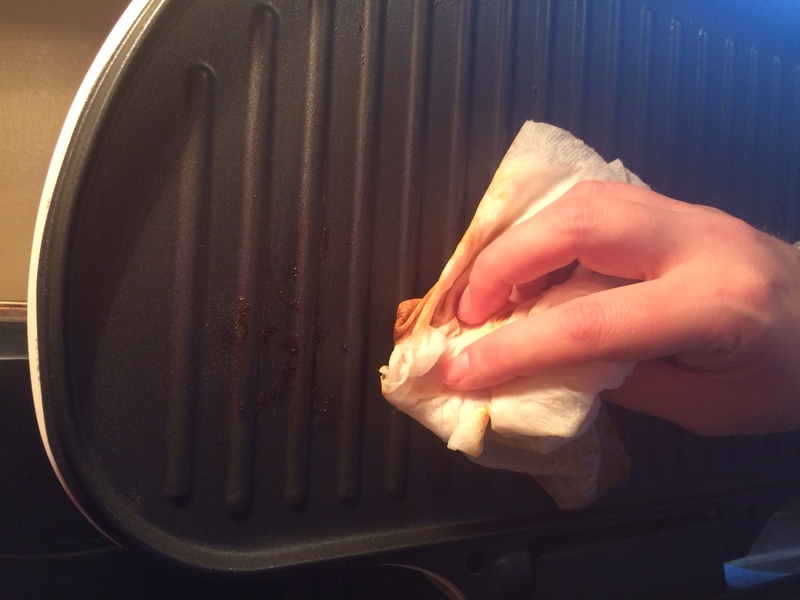 If there is still a bit of stuck-on food left behind, take a damp Tiger Towel® and run it down each slat. Be sure and wipe along and under the bottom of the grill, too, where drippings often get missed. 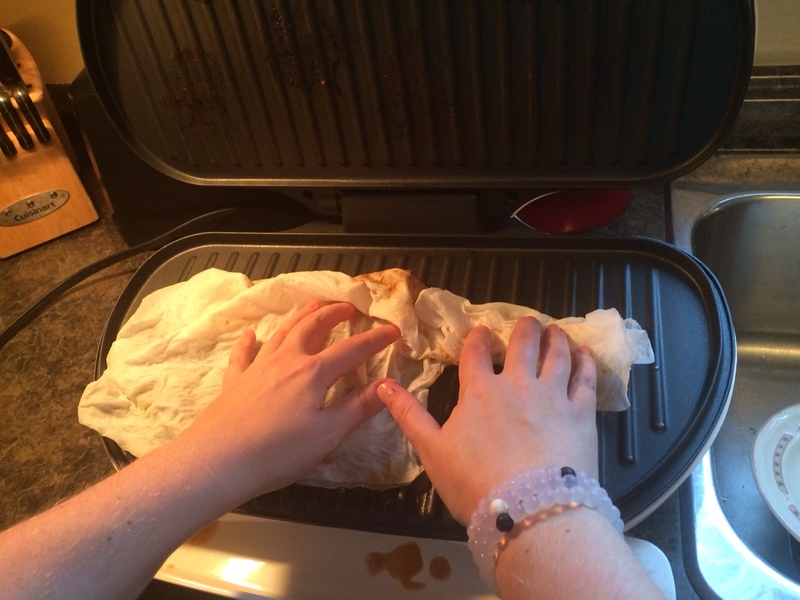 Dry the grill with Tiger Towel® before storing it so it doesn’t rust.